Wine connoisseurs will particularly appreciate this charming, family-run hotel which is set in picturesque Enkirch, in the heart of the Moselle wine region. The Weinhotel Steffenberg offers guided tours through the beautiful Moselle countryside. Welcome to our small hotel which has been family-run for three generations. Simply forget your everyday worries and relax in a pleasant atmosphere. 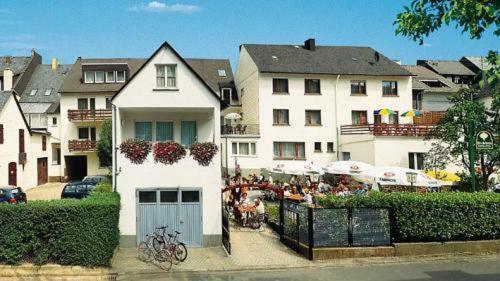 This cosy hotel on the Moselle river offers comfortable accommodation and great food in the small, picturesque town of Enkirch. It lies 5 kilometres from Traben-Trarbach and 13 from Zell.